National Dance Day with various entertainers from various MGM Resorts properties event was held at the Monte Carlo Plaza in Las Vegas on Saturday, July 26. Jabbawockeez, Blue Man Group, the ladies of FANTASY, cast members from Tournament of Kings and Sasha Farber from ABC’s “Dancing with the Stars.” joined employees and the general public at the newly renovated venue. World-famous dance crew and Luxor headliner, Jabbawockeez, joined legendary singer, Pharrell, on stage during his Weekend 2 performance at Coachella on Saturday, April 19. 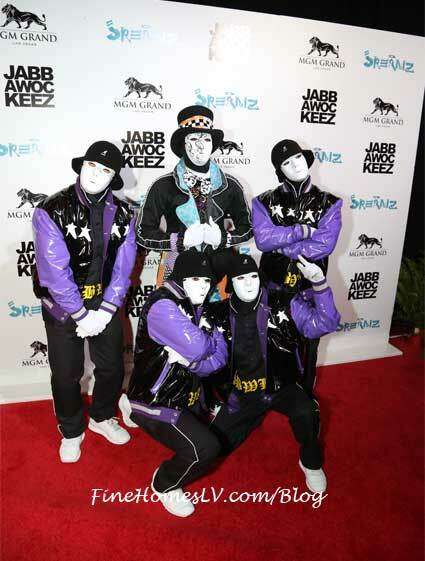 The “Happy” singer danced along as Jabbawockeez performed original choreography created exclusively for the performance. Jabbawockeez, the world-famous dance crew, dances into the brightest light on the Strip with preview performances of its all-new show, “PRiSM,” at Luxor Las Vegas beginning Saturday, May 18. A celebration of imagination, the show is an eclectic mix of awe-inspiring choreography, captivating storylines and stunning special effects, forming a production that challenges audiences to embrace the unexpected.